Aalto University (Aalto) is a multidisciplinary scientific community, working in the fields of technology, business and art and has been recognized as the best university in Finland for engineering and technology. 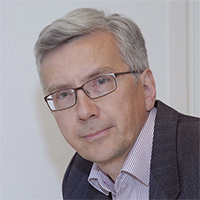 The NANO group, led by Prof. Pertti Hakonen, investigates fundamental quantum phenomena in nanostructures made using topological matter. In both top-down and bottom-up engineered hybrid nanodevices, quantum mechanical wave character is utilized in various resonance and interference settings. In particular, suspended carbon nanotubes and graphene are employed as unique platforms for reaching ultimate optomechanical sensitivity for phonons as well as for charge and phase. The NEMS group, led by Prof. Mika Sillanpää, carries out experimental research on micromechanical resonators close to the quantum limit of motion, and on Josephson junctions and superconducting qubits. The goals are to synthesize quantum states of motion, and apply them for quantum information applications.